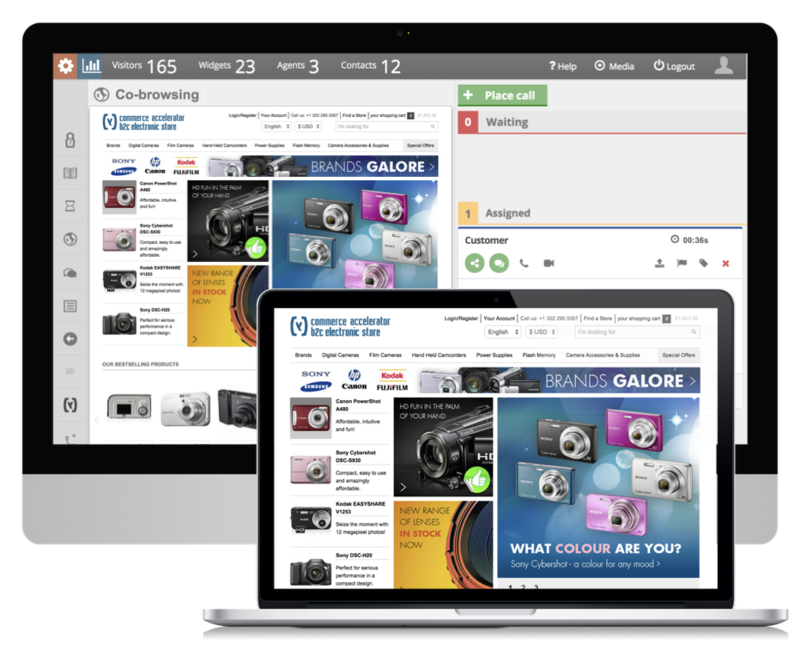 by collaborating efficiently and effectively to service online visitors. 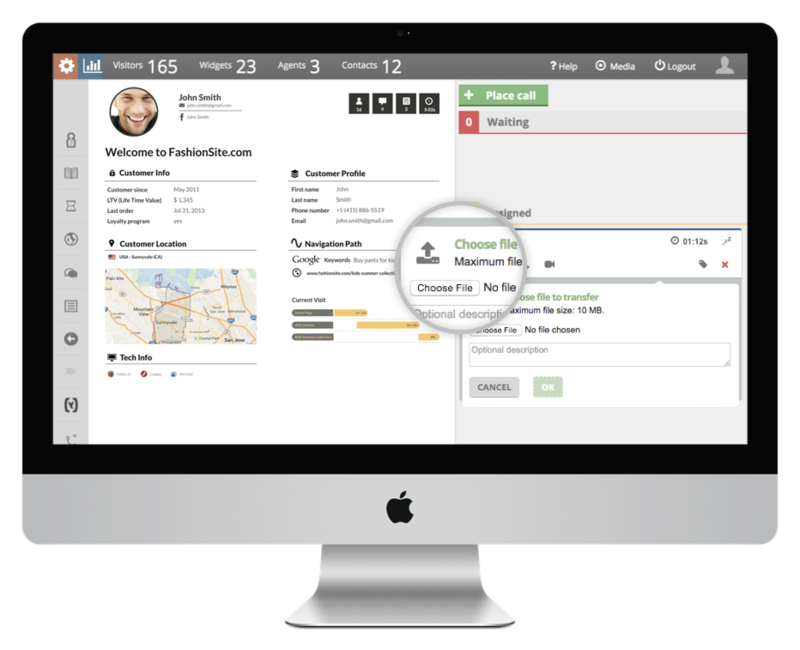 Allows agent and customer to co-navigate a website. Increase the probability of achieving business goals by assisting visitors fill out forms. 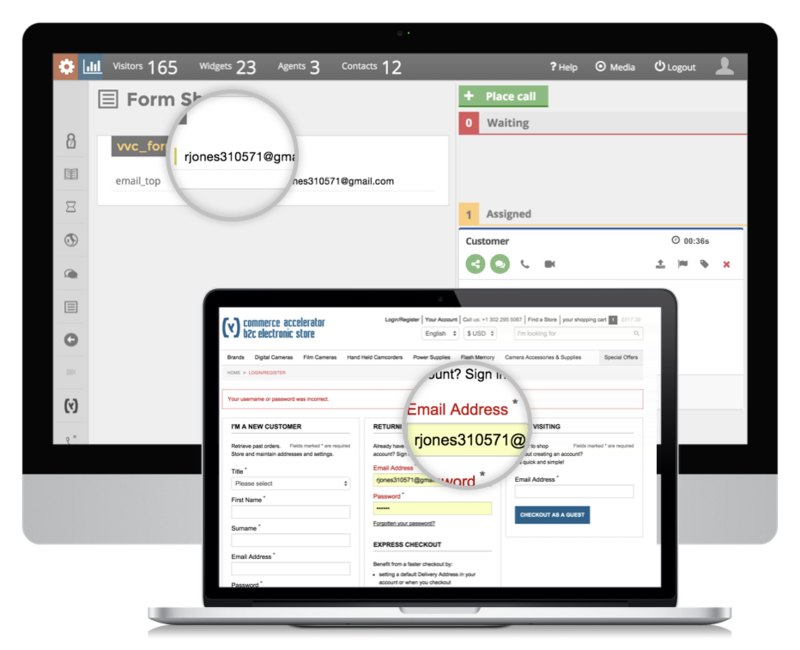 Your agent can see in real time what your visitors are entering in webforms, and are able to help them modify the content in the right way. This is achieved without obstructing user privacy. 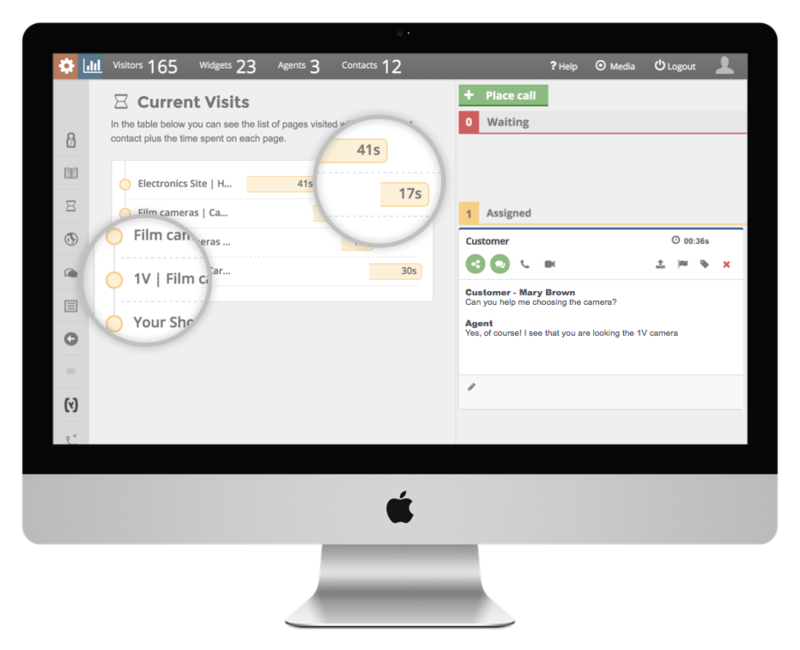 Screen casting allows agents to show their screen or view the customer’s screen during any real-time interaction. It allows to share both the customer’s and agent’s screen, one at the time, without the possibility to interact with the shared page. Screen casting allows streaming a specific window, a single app, or the full desktop. Vivocha allows you to send files (pdf, images, executable etc) from both the agent and customer side. Click on the file attachment button to open your desktop explorer, choose the file you want to send, select it and then click “open”. The customer too may need to send files to the agent; widgets on the website or mobile app are provided with this functionality. Analyze the behavior of your engaged visitors directly on the agent desktop: see the page they have visited and the time on page, to understand user’s interests or avoid potential problems, also on your web analytics tool such as Google Analytics, WebTrends, Adobe Ominutre.